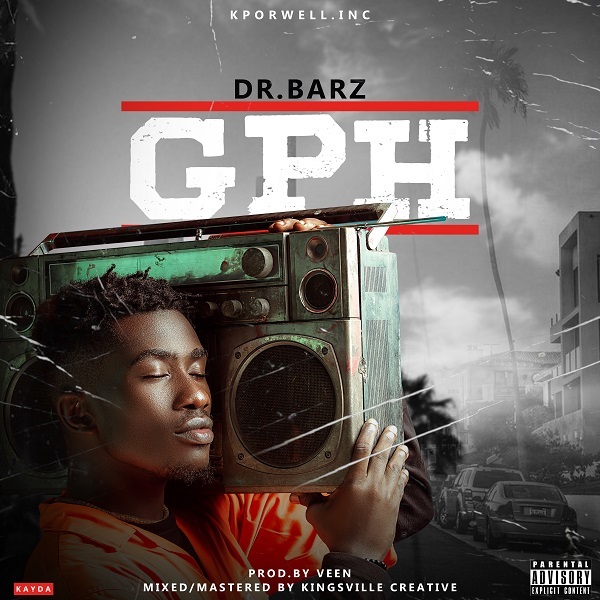 Kpor Well Inc.’s raving rapper, Dr Barz releases yet another banging joint titled ‘GPH‘ (Greater Port Harcourt). The hot new jam comes on the hills of the success of Barz’ ‘Behind Barz Concert‘ which held in Port Harcourt a few weeks ago. The song was produced by Veen. Mixed & Mastered by Kingsville Creative. GPH was written and composed by Victor Barz Akpomon with extra vocals by Zina. Follow @dr_barz on all social media platforms.